College and debt seem to go hand and hand for the average student. Unless you’ve gotten a scholarship or have parents that have been saving since the day you were born, chances are you’re going to need to rely on other financial resources to obtain your degree. While lending institutions seem to be the most ideal for new college applicants, according U.S. News, the average college graduate will have approximately $30,000 in student loan debt — not including the cost of living. Seeing numbers like this shouldn’t scare you off from obtaining higher education. However, it should encourage you to be smart about your finances early on. While graduating from college with no debt is highly unlikely, there are things you can do to minimize the amount of debt you’ll accrue over the years. It goes without saying that college is a job in and of itself. However, when you have bills to pay, sometimes a few hours per week can make a big difference. Think outside of the box when it comes to making a few extra bucks. Virtual work seems to be the new trend for individuals looking to earn a living remotely. Try to find something that will help build your experience. For example, if your major is English, earning a few dollars each week as a freelance writer would help you out financially and educationally. If you don’t know about getting a job with strict hours, consider starting a side hustle and boosting your income on your terms. If your student loans, grants, or scholarships are not enough to cover your books and supplies, there are things you can do to bring the costs down. Buying used textbooks can save students as much as 90%. These days, students are able to browse textbooks by type to find what they’re looking for. Once you’re done with the books, you can easily sell them to a reliable source for some extra cash. This process is fairly simple and can save you money while also helping you to earn some back at the end of the semester. Check out our favorite places to buy college textbooks online. There is literally a market for just about everything you own. Selling unused or dated items can also be a great way to earn some extra money. Some of the bigger markets are selling your gold and old electronics. If you have unwanted or damaged jewelry, finding a reputable vendor to sell it to can get you a few hundred bucks that can be used to purchase groceries or other necessities. Those dated iPhones and mobile devices can also bring in a few hundred bucks that can be used to help fund your education. When buying or selling merchandise, be sure to only work with reputable vendors to ensure you get the best value and avoid scams. You can determine the validity of a company by simply checking out consumer reviews and/or the Better Business Bureau. 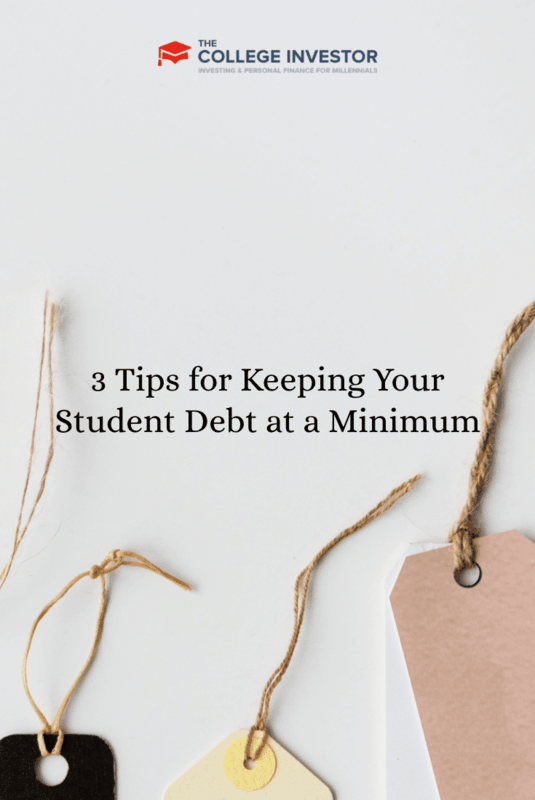 By finding ways to earn extra money or to save on the things that you need most while in college, you can significantly decrease the amount of debt you’ve accrued by graduation time.